First Aid Level One (Refresher) is a course that should be completed to update and refresh your knowledge prior to the expiry of your certificate. The candidate(s) must have a VALID IN-DATE First Aid Level 1 certificate. We will allow a 30-day grace period after the expiry date to attend this course. 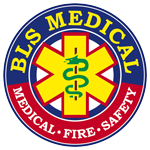 You will be required to submit copies of the above certificate to BLS Medical at mail.blsmedical.co.za on registration. Should BLS Medical not receive a copy of this certificate your registration will be rejected within 3 days of registration. CLICK HERE to read more about the First Aid Level 1 Course. Select the number of delegates (spaces) per ticket type. Complete the names on attendee's form (Note: this can be completed later or submitted separately). Registration are closed for this course. Look below for the next course scheduled or contact us on 087 236 6601 or mail@blsmedical.co.za so we can see how we can assist you.